Emma Aitken – Fused Glass Click to see a larger image. 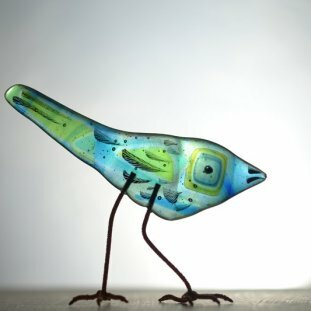 Glass intrigues me in many ways – a solid liquid, stunning colours, textures with bubbles and ripples. Working with glass is a…. From 1984-88 Emma studied at Edinburgh College of Art, specialising in stained glass (taught by Douglas Hogg) and graduating with BA(Hons). 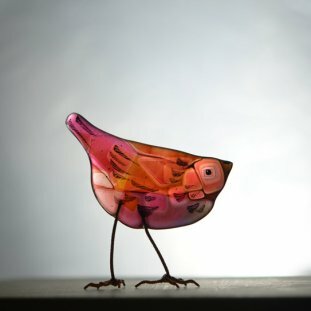 She became a Self-employed stained glass artist in 1994 and since then has completed over 40 commissions, exhibits widely and occasionally teaches part-time. In 2002 she was elected an Associate of the British Society of Master Glass Painters. Since 2007 Emma has been a stained glass consultant to the Church of Scotland Art and Architecture Committee. 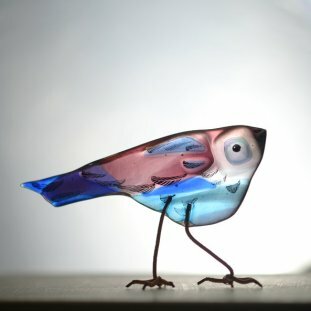 In September 2011, Emma received a Saltire Society Art and Craft in Architecture Commendation for her window “Dove” in Broxburn Parish Church. 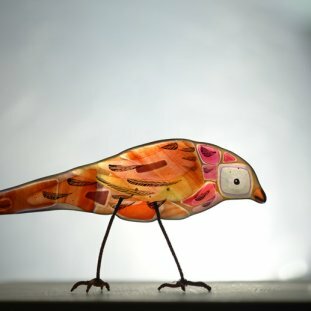 Emma uses the traditional stained glass techniques of painting, staining and etching glass, but also sandblasts and fuses, sometimes combining many techniques in one piece. She uses beautiful handmade sheet glass, especially English Antique Glass, which has particularly fine qualities. Her creative ethos encompasses traditional techniques in combination with contemporary vision.